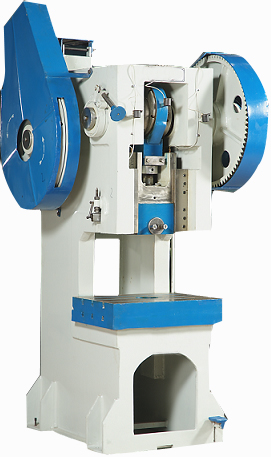 The Power Press Machine is use for mass production. The clutch of rolling key type which gives continuous strokes and produce mass production. Crack Shaft of Power Press Machine is make of alloy steel and fit in with gun metal bushes for long life and smooth working. In the Power press machine Ram and Table are align prefect to each other to obtain high precision press operations. Accessories shown in photographs are not part of Standard Supply Owing to continuous innovation in machine functions and machine building technology at our plantwe reserve the right to alter specifications printed above with immediate effect without prior notice.